Artificial-Intelligence PowerPoint templates, backgrounds Presentation slides, PPT Themes and Graphics. Go through the awesome range of Artificial Intelligence PowerPoint Templates to define Artificial Intelligence. Incorporate different types of Artificial Intelligence PowerPoint layouts in your presentation to explain that it is the intelligence which is exhibited by machines. Describe its software and uses of Artificial Intelligence. Use amazing Artificial Intelligence PowerPoint backgrounds to explain its different types. Aware your audience about the advancements in this field. Showcase current artificial intelligence examples to your colleagues and teammates. Demonstrate how it is used today with the help of innovative visuals of Artificial Intelligence. Discuss creating an artificial intelligence program and future artificial intelligence machines with your audiences. Illustrate how AL has solved most difficult problems in computer science with the help of its tools. Browse the amazing collection of Artificial Intelligence PowerPoint Templates for your presentation to educate your audience about it. These creatively designed PowerPoint Templates are completely customizable. You can edit the color, text and icon of these PowerPoint Templates as per your requirement. Download these amazingly designed Artificial Intelligence PowerPoint Templates and brief about it to your audience through creative visuals. This slide has been designed with graphics of human mind with four icons. You may download this slide to depict brain strategy. Deliver amazing presentations to mesmerize your audience. 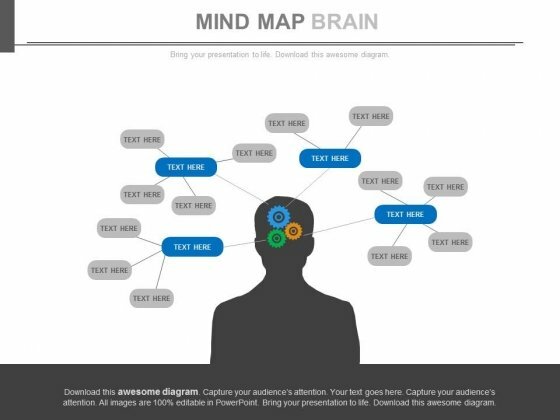 Display your even handedness with our Human Mind With Four Icons Powerpoint Template. Show them that you make fair assessments. 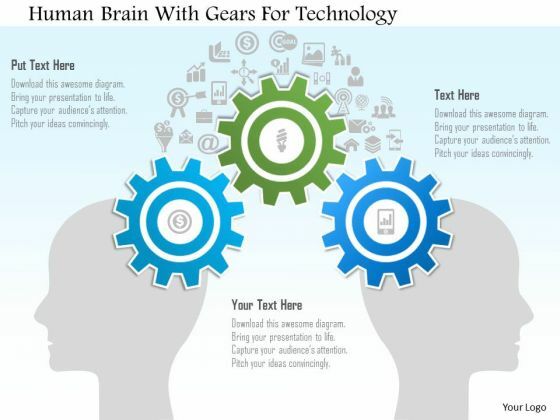 This PowerPoint template slide contains graphics of human brain with gear and bulb. This PowerPoint diagram is suitable to present innovative thinking. Download this business slide to make impressive presentations. 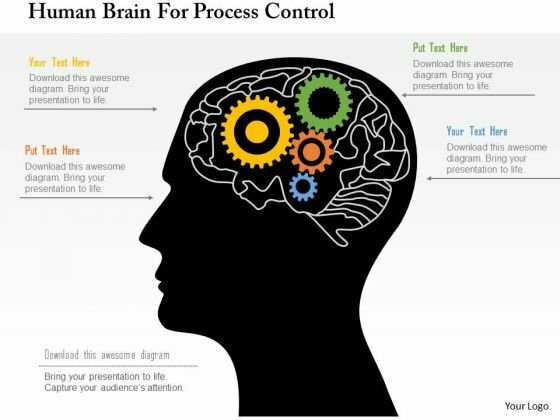 Take the plunge with our Human Brain With Gear And Bulb Inside Powerpoint Template. Success will surely ensue. 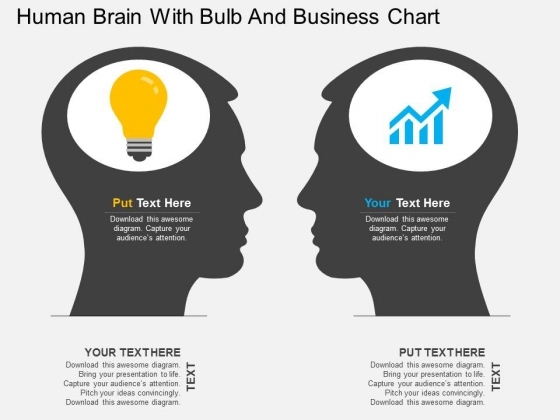 This PowerPoint template has been designed with graphics of human brain with bulb and business chart. This diagram can be used to display creative thinking in business. Capture the attention of your audience with this slide. 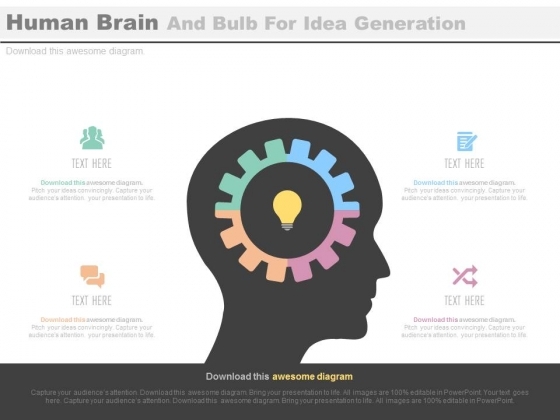 Take the plunge with our Human Brain With Bulb And Business Chart Powerpoint Template. Success will surely ensue. 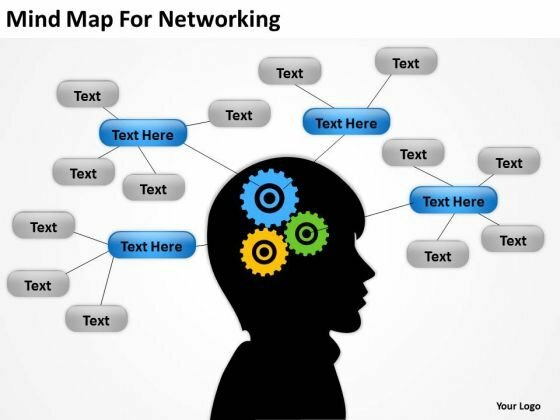 Graphics of human brain with gears are used to design this business slide. This business diagram helps to portray concept of process control and idea generation. Use this slide to build unique presentations for your viewers.